Today we had another day of staying home due to my daughter’s sprained foot. Luckily it is not broken like the doctor thought it was at first. I chalk it up to strong bones from all the milk she drinks. 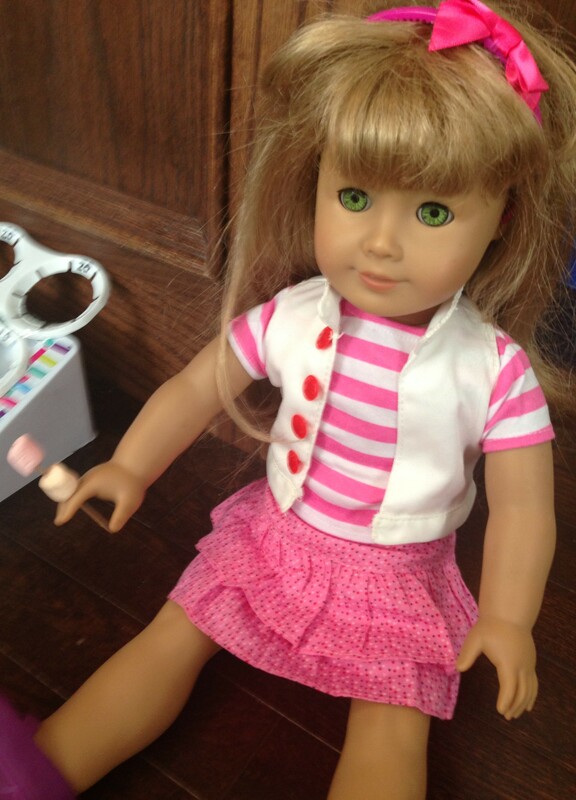 Anyway, because we were home, and we had virtually nothing to do, I decided that we would simply play with our dolls. 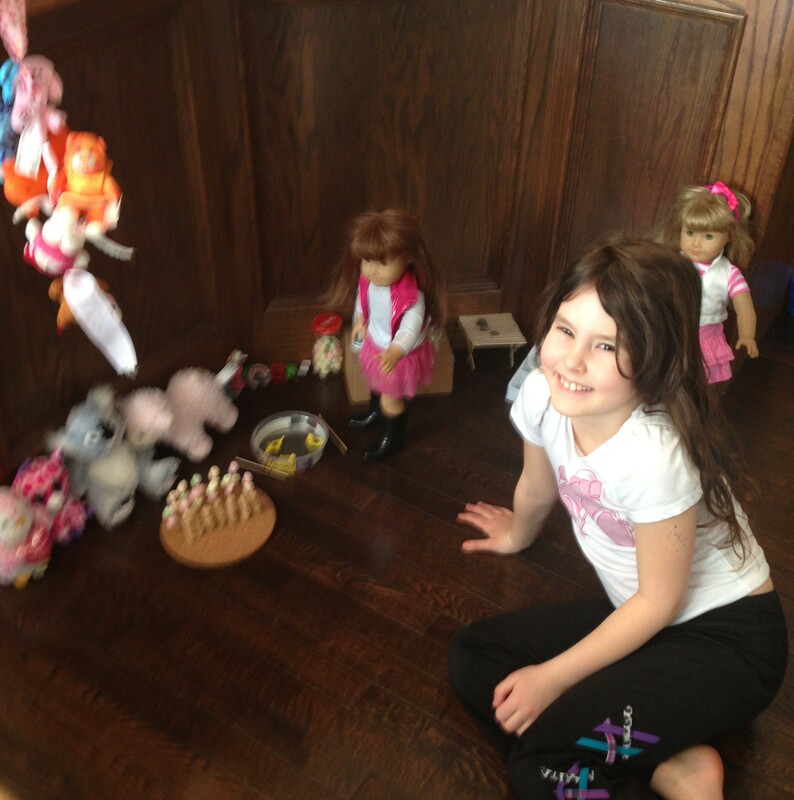 Usually our doll play consists of finagling some intricate and complex craft for them. We often don’t have much time left for actual play. So instead, today we decided that the dolls should take a trip to the carnival. As the crafty fiend that I am, I did end up sneaking some light crafting in there after all, but it was nice to just hang out and play. 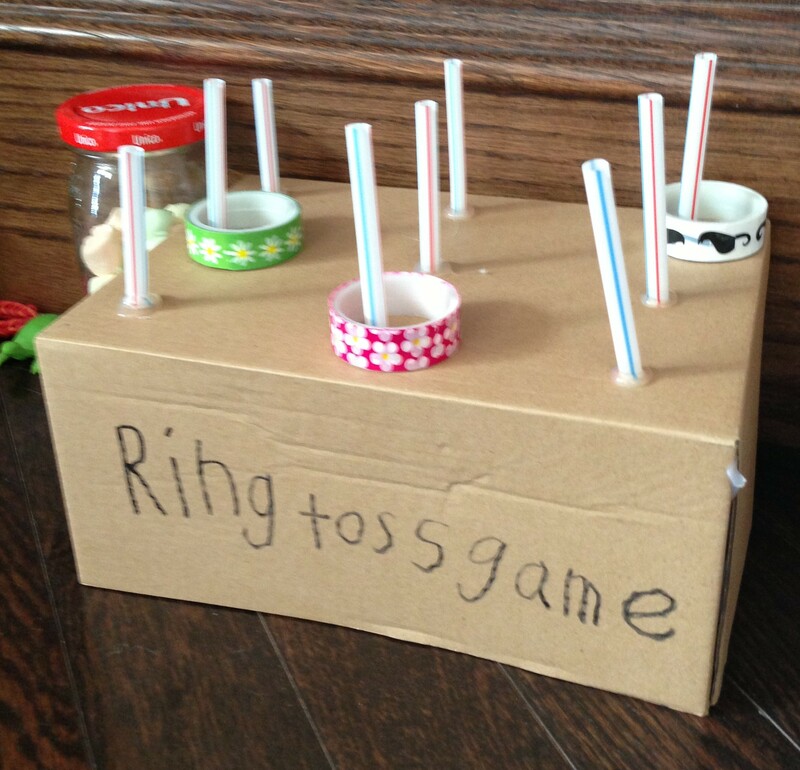 The first thing we set about making was the ring toss. I wanted it to take roughly ten seconds to make so I just took a cardboard box and hot glued some straw pieces to the top. We used the tapefitti rolls as rings. This turned out to be a very easy and very fun way to play with the dolls. It actually proved a bit of a challenge too, but the girl and I had lots of fun taking turns at the ring toss. The next carnival game we created was the coin toss. I can’t call it the penny toss because we had no pennies. We just used dimes instead. I took the box that her Tapefitti rolls came in and taped two double rings from the bulk ketchup bottles to it. I didn’t want to wreck the tapefitti box because we do want to keep it to store the tapes in afterward. That’s why I didn’t hot glue the ketchup rings to it. Remember I was focusing on trying to make the simplest projects because I wanted to have time to actually play. This turned out to be very simple in design. 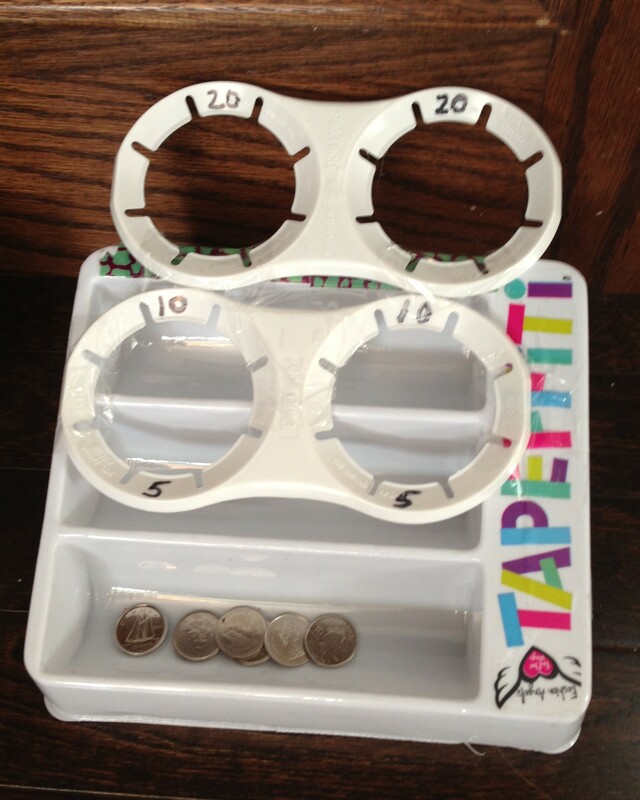 If you toss a coin through the top hoop you get 20pts, the top half of the lower hoop is 10pts, the bottom half of the lower hoop is 5pts, and 1pt for the last open tray. We had lots of fun with this game as well. 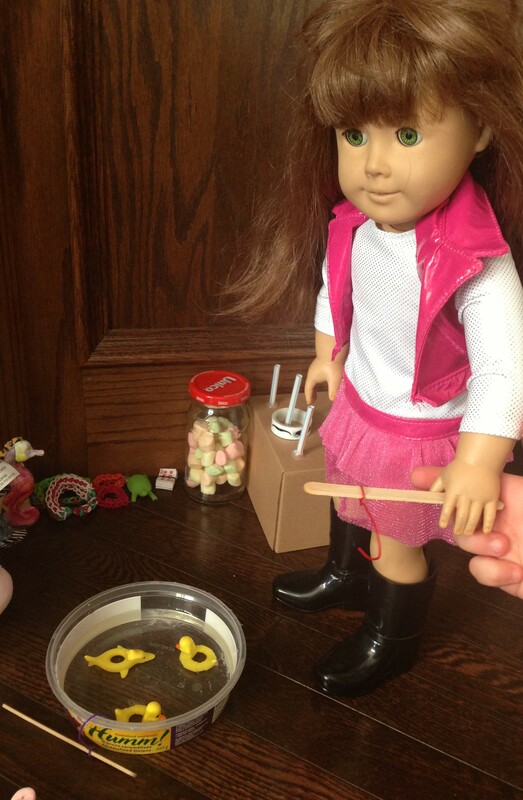 It’s even harder if you make the doll throw the coin by moving her arm. We had a jar of mini marshmallows for the guess the number of marshmallows game as well, but when I wasn’t looking someone ate all the marshmallows. I guess you can’t have a free for all of marshmallows around a 7 year old for long. 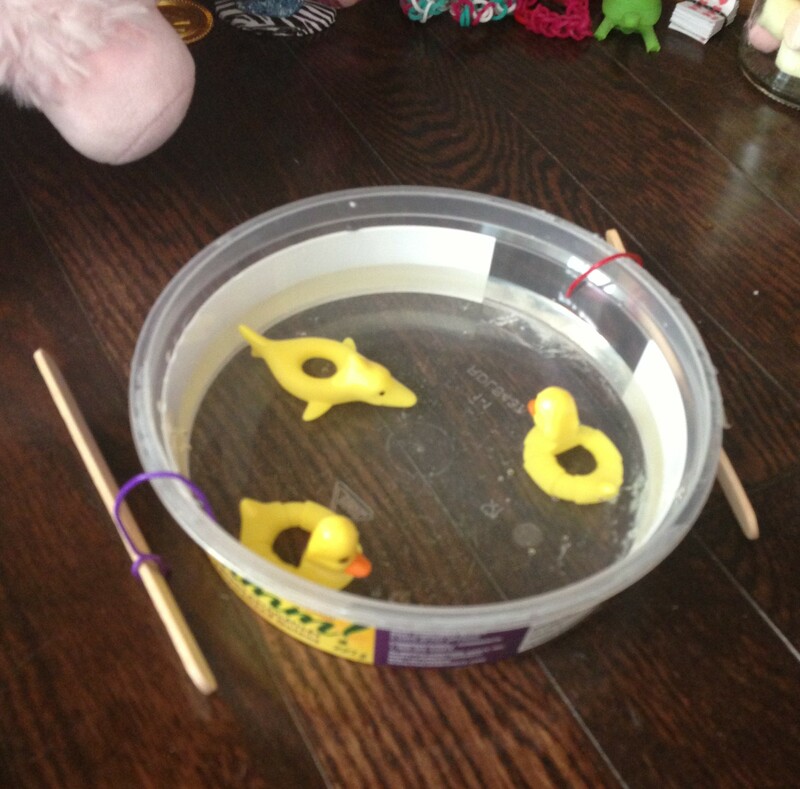 Our duck fishing pond turned out to be as simple as the ones at the actual fair. My daughter says that it doesn’t matter because we can just pretend that it’s a baby game. 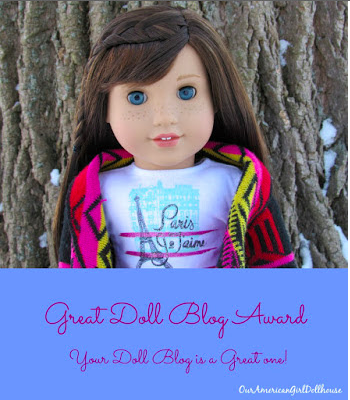 Even so, our doll Samantha had to try it out anyway. She doesn’t mind playing games for babies. Anyway, I threw the duck pond together quite quickly. 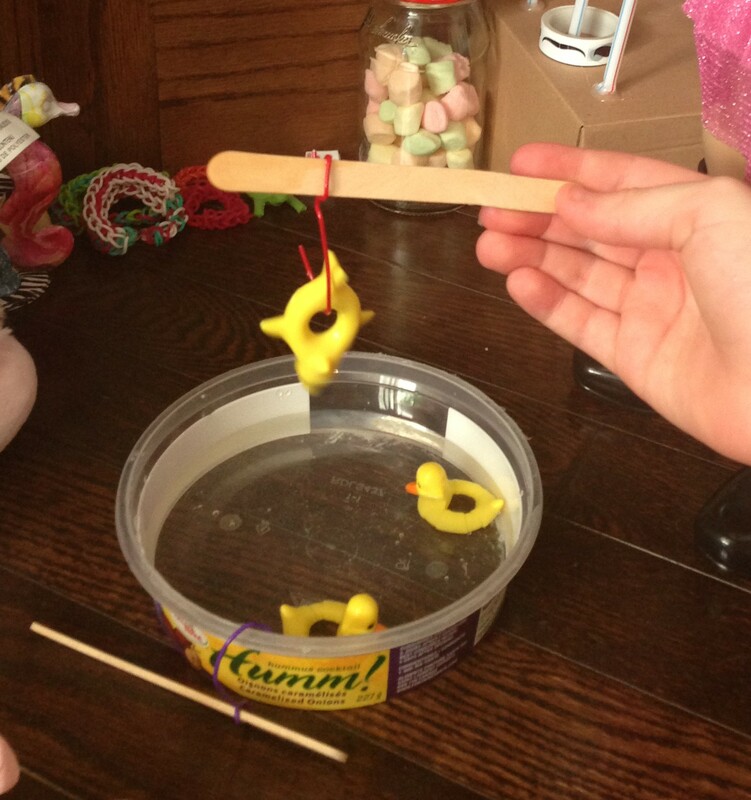 It was just a plastic container with some plastic duck toys that we had on hand, and the fishing poles are craft sticks with paper clips bent around them in a hook shape. 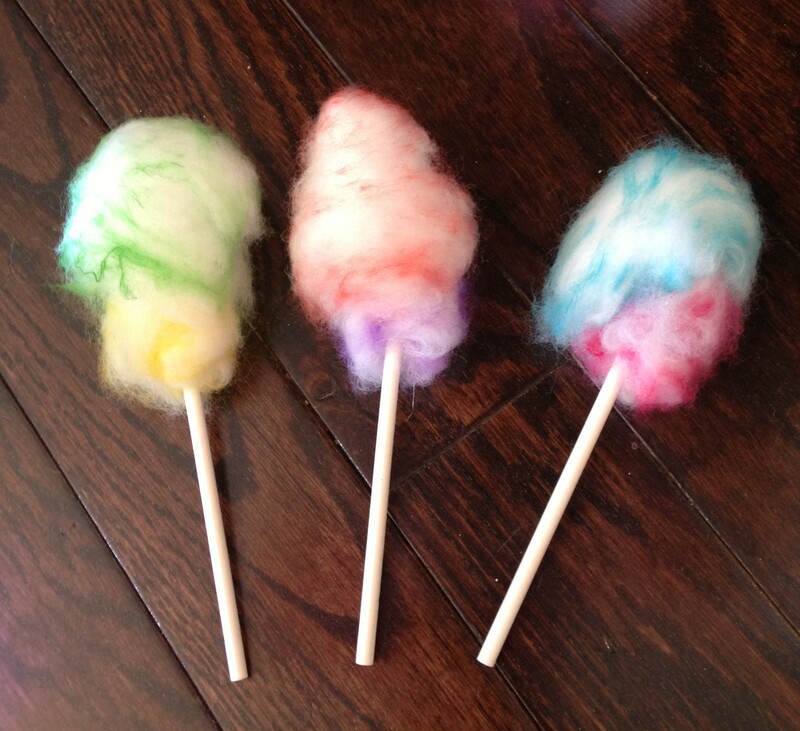 Like I said, this wasn’t a rocket science kind of crafting day. Like every carnival we knew that we needed to supply some food. 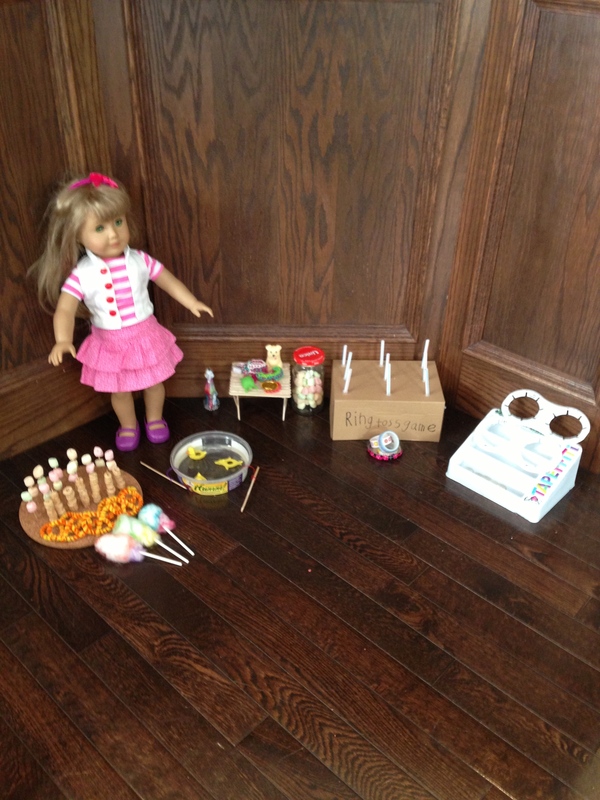 Our dolls were getting quite hungry by then anyway, after they had tried out all the games. 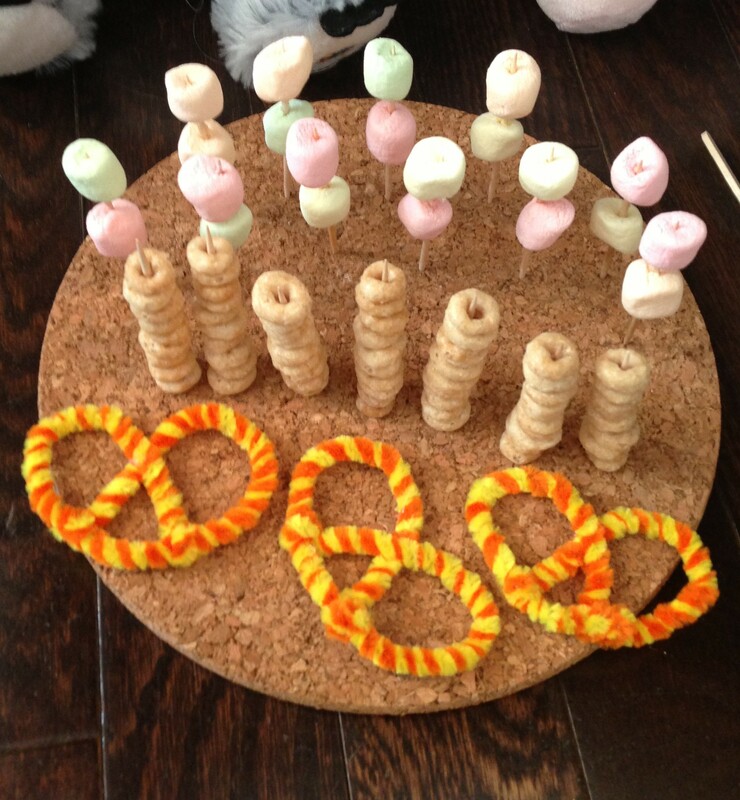 We decided to make what my daughter is calling marshmallow shiskebabs (those ones escaped the marshmallow bandit unscathed), and donuts on a stick (cheerios stacked on a toothpick). 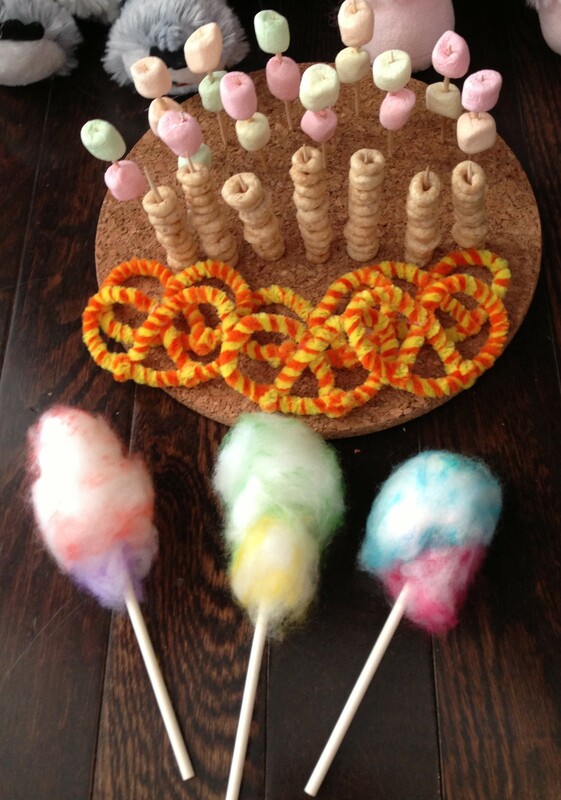 We also made some pipe cleaner pretzels and cotton candy floss. We just jammed the toothpicks into a cork potholder and that seemed to work well enough to hold the food. 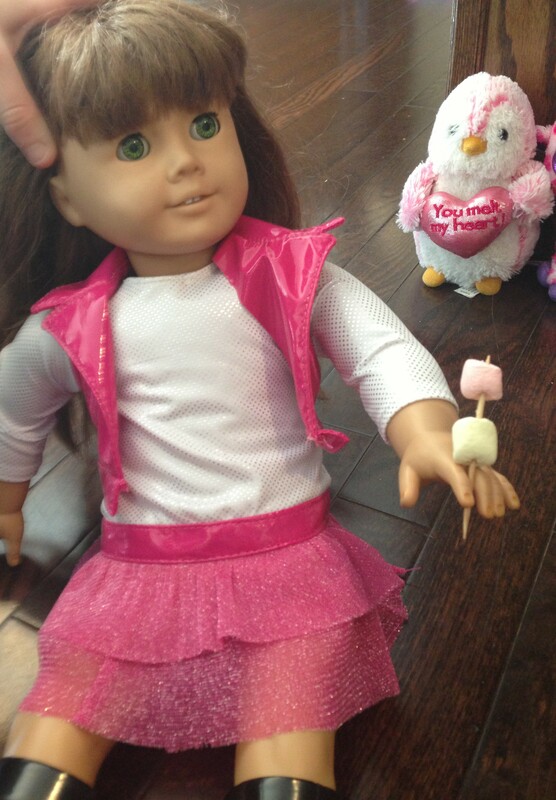 And here are some of the dolls enjoying their treats. Lastly we needed to have prizes. I mean, what’s a carnival without the chance to win that giant stuffed teddy bear that you will never have any use for, right? We had small, medium and large prizes. 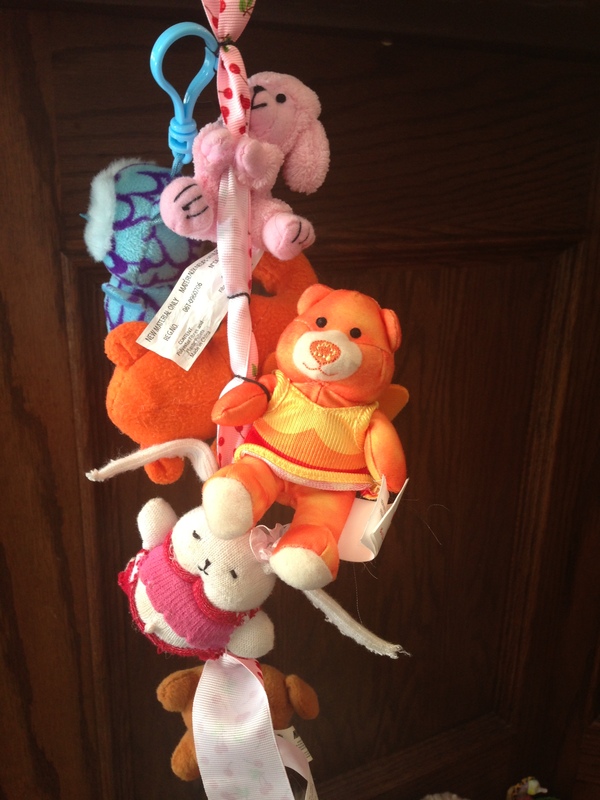 The rope ladder of stuffed toys was made with a piece of ribbon. 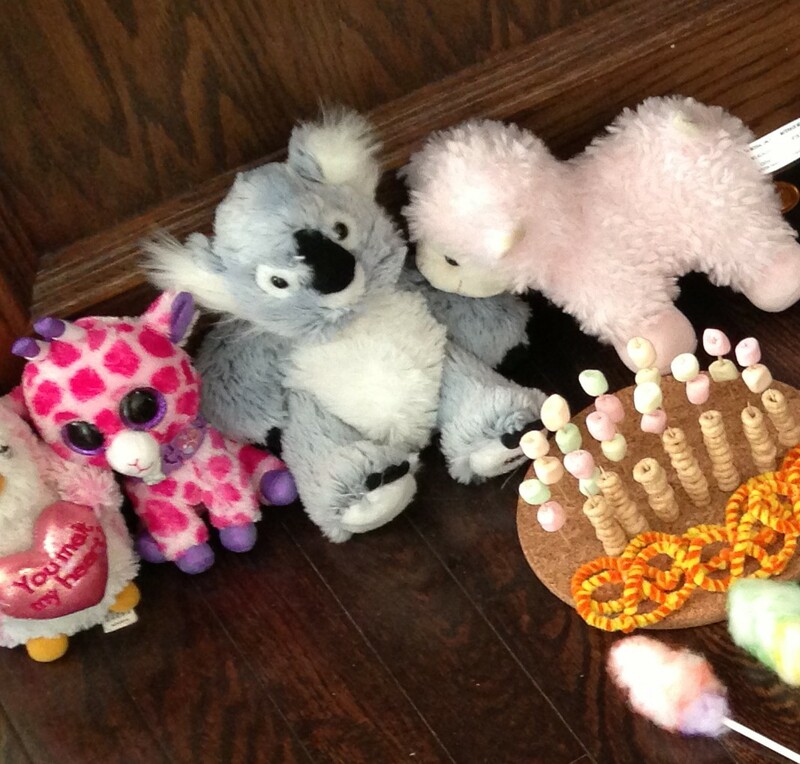 I just attached the stuffies using small elastic bands so that we could easily remove them. 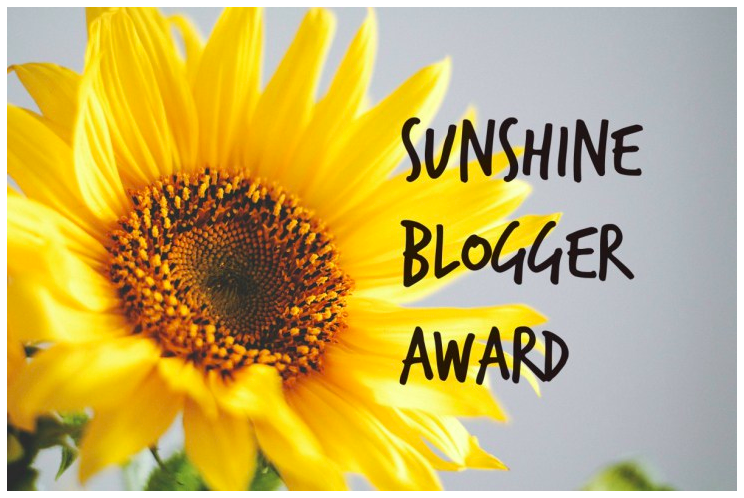 The smallest prizes were loom bracelets, and we had some bigger stuffies as large prizes. 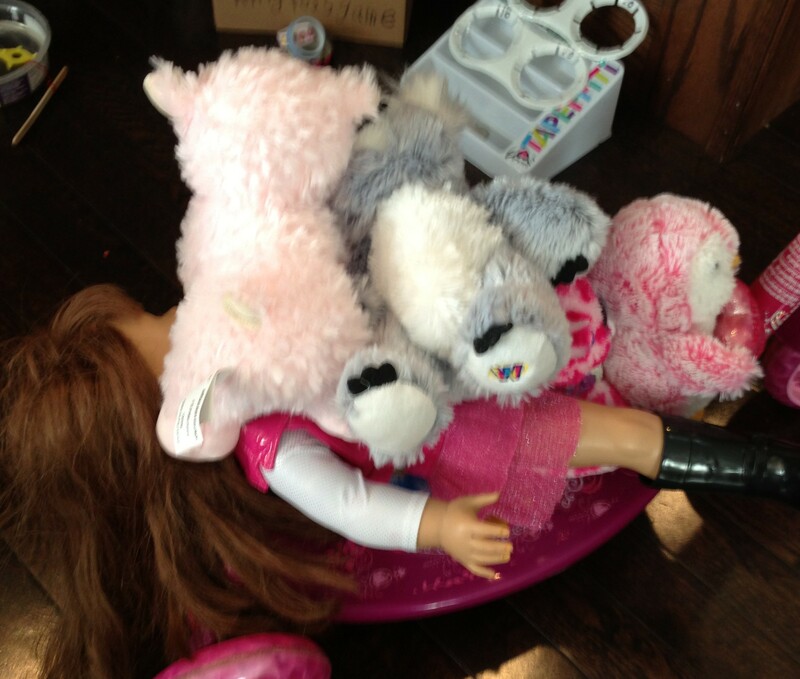 Unfortunately one of the dolls had a fatal accident trying make off with all the large prizes. She insists that she won them fair and square, but I am still skeptical. Here is some shameless posting of a pic of my kid. Hopefully she feels better soon. It’s a lot of work staying home from work. May your life be like a carnival! !